Pink Division winner West Ranch and runner-up Aliso Niguel celebrate hard-fought championship match. 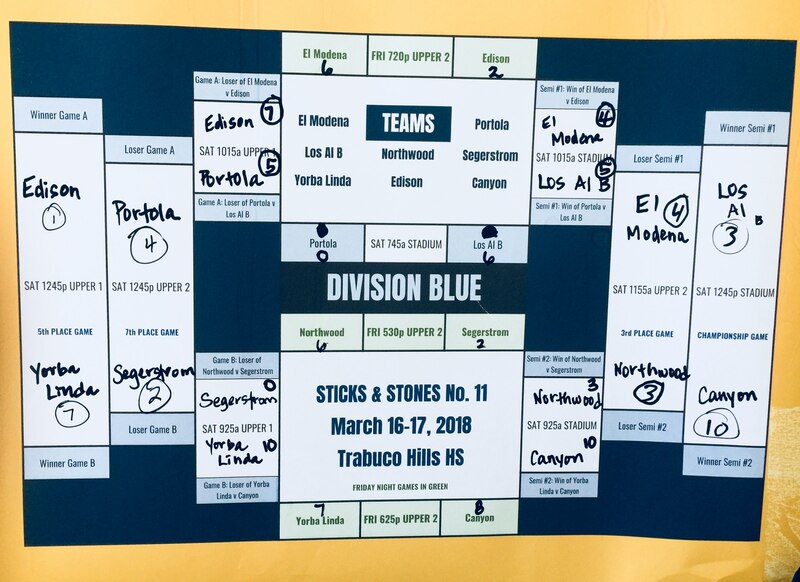 Foothill, Redondo Union, West Ranch and Canyon won division titles at the 11th annual Sticks & Stones junior varsity lacrosse tournament at Trabuco Hills this past weekend! 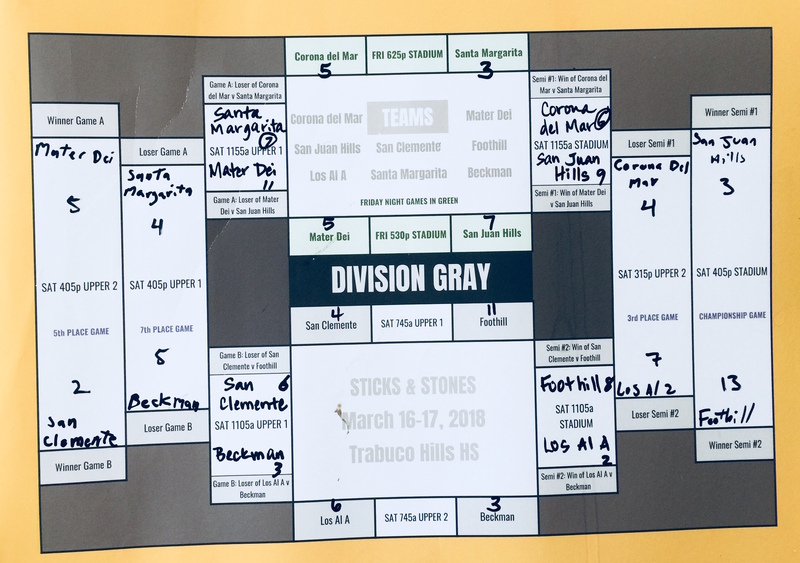 GRAY: Foothill defeated San Juan Hills, 13-3, to take the division. (GRAY SCORES HERE!) It was Foothill’s fifth Sticks & Stones title since the tournament began in 2007. Los Alamitos A finished third. 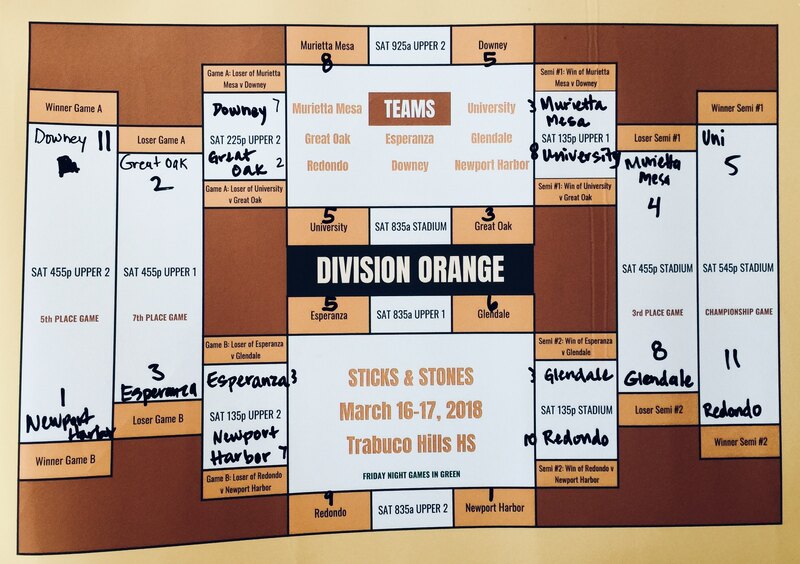 ORANGE: Redondo Union beat University, 11-5, for the championship. (ORANGE SCORES HERE!) It was Redondo’s third Sticks & Stones title. Glendale finished third. 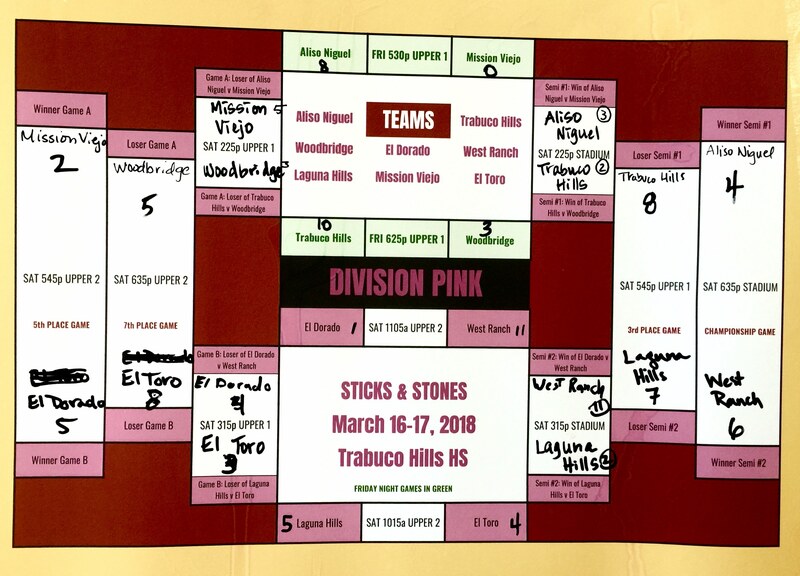 PINK: West Ranch topped Aliso Niguel, 6-4, for the title. (PINK SCORES HERE!) Host Trabuco Hills finished third. BLUE: First-year program Canyon beat Los Alamitos B, 10-3, for the crown. (BLUE SCORES HERE!) First year-program El Modena finished third.